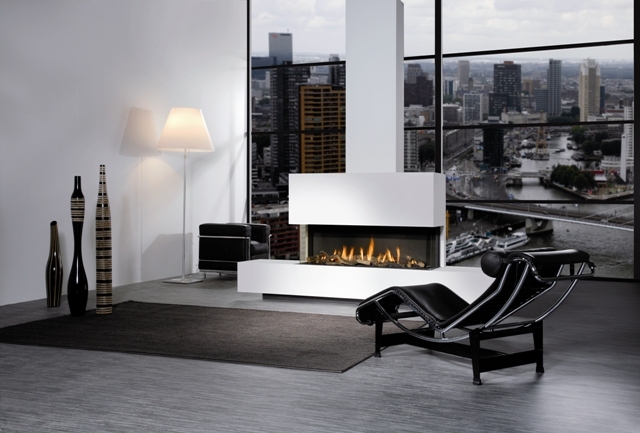 Extra large frameless 3 sided gas fire. Supplied with either a combination of logs and twigs, or pebbles. Innovative Step Burner. Optional footplate available. Interior options: black-painted steel or black mirror.